At Mosaik Homes we know that our clients have a refined taste, and desire to keep up with the latest in chic new home trends. ‘Eclectic’ is one of the most popular interior styles today. This design refers to the combination of elements from the classic style to the modern style, while adding unique accessories. For those who don’t have one strict style, the combining of different elements allows you to throw away some restrictions and indulge in a wider range of decor. 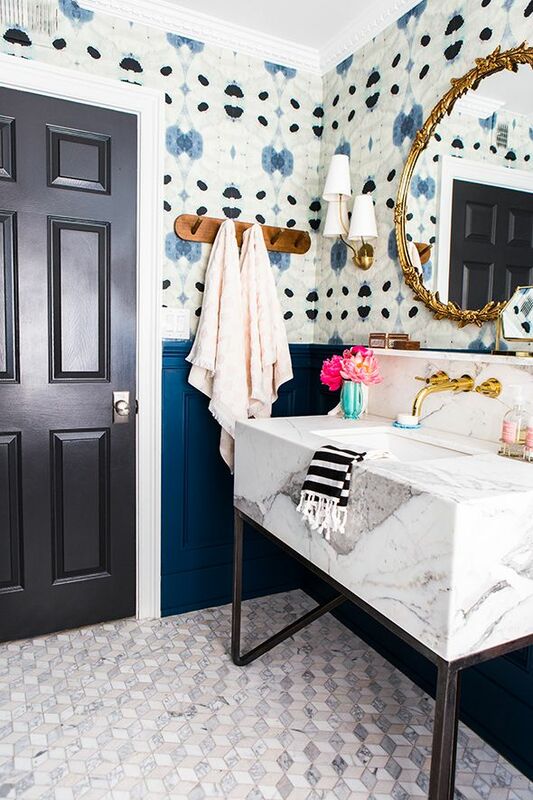 Give your bathroom a relaxing, on-trend update, with these 6 Tips for an Eclectic Bathroom. Vibrant colours against an array of wood and metal finishes is the epitome of eclectic design. Elements of black, white and brown are a signature backdrop of this look. The dark finish on the sink vanity legs against the pristine white marble counters contrast with the gold mirror and the light wood hanger, for a varying but tied together atmosphere. A rich collection of colour and textural elements makes a space appeal to our senses. If you have shiny decor pieces, add in some matte ones, and offset metal with wood and plastic with porcelain. Choose the level of textural interplay that you’re comfortable with. Adding in colour to this backdrop is the easiest way to bind various styles together, and blue in particular does this with eloquent ease. One color should serve as a unifying factor throughout your design. Let colour serve as the great equalizer, pulling together the overall look. In bathrooms, walls covered in blue usher in colour while keeping it classy. Pattern gives an eclectic space its depth, charm and ‘cool’. Pair bright citrus hues with soft pastels, or mix and match every shade of green. If you try to bring in every single shade you love, or if you pile up patterns with no restraint, you’ll be left with a mess. Patterns in one general colour are a sinch to coordinate, or amp up. Restricting your the palette of your patterns to basic black and white is a classic way to mix patterns. If you’re looking to take it further, add sassy stripes with a mod floral and over-scaled chevrons. Floral patterns remain on trend, and work beautifully as a key component of the eclectic look. Eclectic style is also about playing off opposite styles. One of the best ways to achieve an eclectic style is to match the old and the new in a cohesive manner. If your prevailing bathroom design is modern or contemporary, featuring clean lines, smooth tile and updated fixtures, consider integrating a touch of contrast with a classic claw-footed tub, complete with traditional hardware. When it comes to the vanity area, dark woodwork suggests an old-world influence, while a clean sink surface adds modernity. Similarly, placing a classic tub design on a modern stand, or enclosing a pedestal sink basin in a modern cabinet scheme will achieve this contrasting but complementary effect. Another simple touch that can create an eclectic feel is to add natural elements to your bathroom design. Driftwood or unfinished natural wood for mirror frames, benches or storage cabinets can create an eclectic contrast to bright, light tile or countertops. 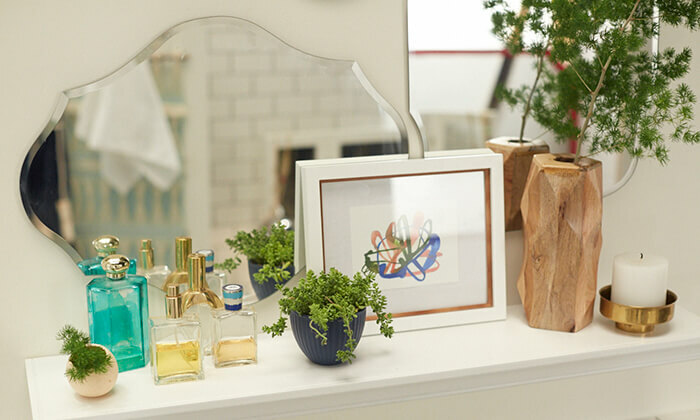 A wildflower arrangement in a quirky or old fashioned vase will tie together your bathroom’s eclectic design. Fern or other big leafy tropical plants in hanging planters are a throwback to the seventies that have become a chic on-trend comeback, showing up in today’s bohemian inspired eclectic designs. Natural fiber woven baskets to hold towels and bath accessories are another excellent choice-just ensure you balance these elements out with some modern sophistication. Drawing inspiration from a range of sources means considering unique twists on various components. An eclectic design approach mix and match elements from several contrasting or complementary styles-and it’s up to you to decide which will be charming and which will be classic. An old world feel is particularly effective when it comes to bathroom tiles. Because tiles are at the forefront of a bathroom’s features, it is the perfect place to try something truly different. An array of color options, patterns, sizes, and even customizable designs give you the freedom to experiment with tiles you might be hesitant to try in other parts of your home such as the kitchen. 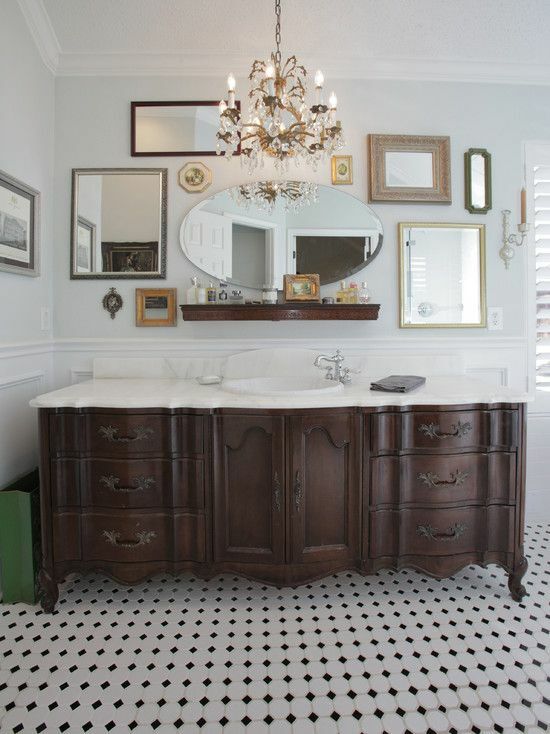 Beautiful mosaic tiles on the bathroom floor play off of modern clean drapery, a contemporary chandelier, and mixed finishes for an overall subdued eclectic bathroom. 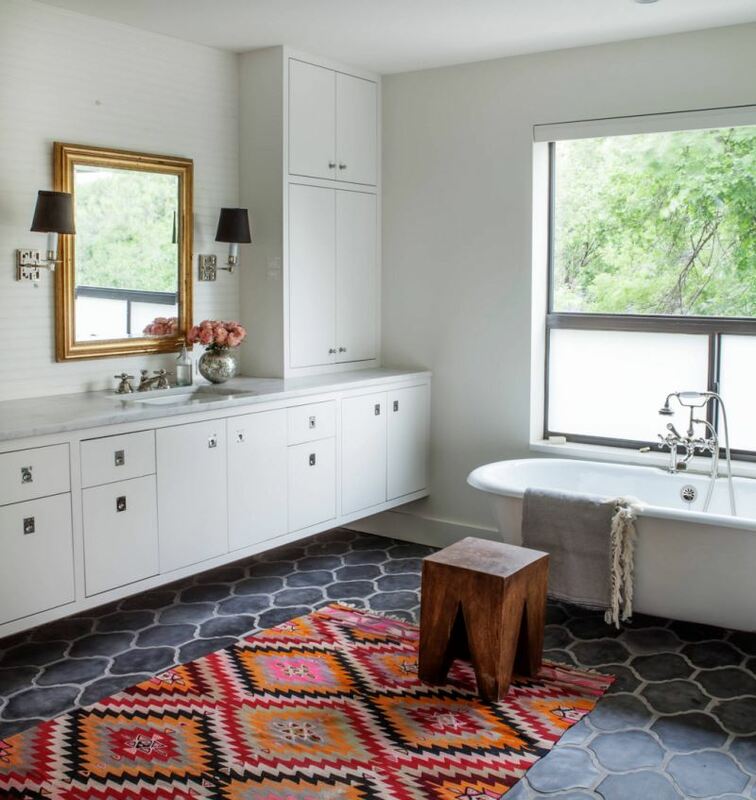 Choosing a rug for your bathroom may seem like a task that does not require too much thought, but the one you choose can actually play a pretty large role in shaping the eclectic look of your bathroom. This element can be a focal point of your bathroom. 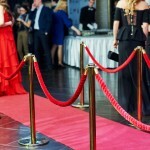 Tribal prints, big bold patterns, oriental or florals are popular choices. Before you make the bath mat or area rug your piece de resistance, ensure that your flooring, cabinetry and surrounding decor is not already intricate. 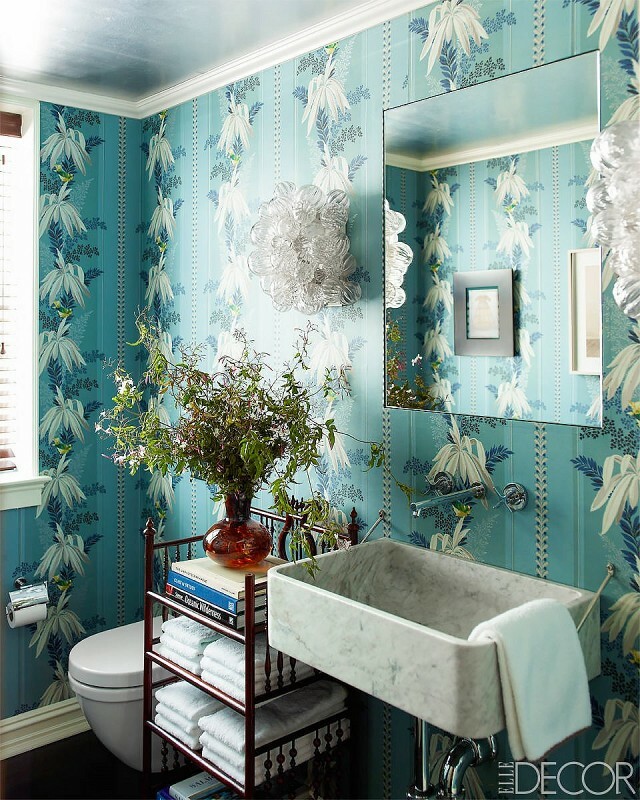 This will help you avoid an overwhelming atmosphere, and achieve a perfectly balanced and chic eclectic bathroom. Bathrooms are often an opportunity to let your wildest design dreams come true. 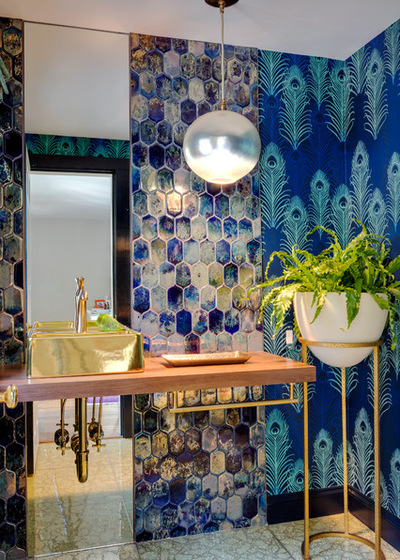 If you’re considering installing a new bathroom or updating an existing one, you’ll want to peruse these ideas for eclectic bathrooms. 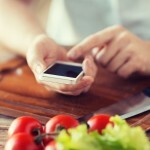 Visit Mosaik Homes’ blog for even more design tips for your home.